At the 2017 Li-Ning Sydney International, the men’s doubles winners individually had more years on earth than their opponents combined. The men’s doubles final featured Yohan Hadikusomo Wiratama / Njoto Albertus Susanto playing opponents less than half their ages and allowing them less than half the points to take their first title together since 2006, 21-14, 21-6. They were the only Australian winners in this year’s edition of the tournament out of a possible three bets across all doubles events. Even with former women’s doubles world #1 Chien Yu Chin coaching, the 18- and 17-year-old Taiwan players Chuang Pu Sheng and Lin Yu Chieh still ended up staring at one way traffic as their experienced opponents kept shuttles deep to expose gaps between them. It wasn’t all plain sailing. The oldest and most experienced pair in the tournament were almost knocked out in the quarter-final yesterday by last week’s Australian Junior International champions Su Li Wei / Ye Hong Wei but prevailed 21-16, 17-21, 22-20, only to fight another rubber match in the semi-final that same afternoon. 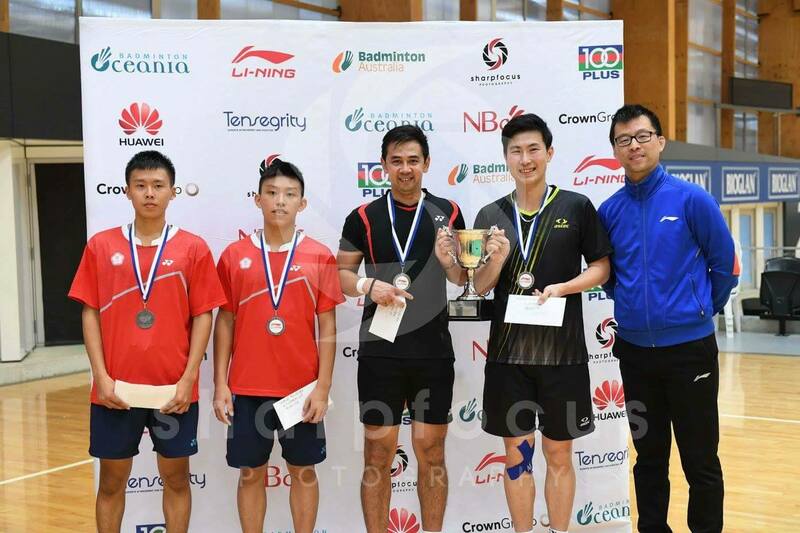 Presently both aged 40 years old, Wiratama and Susanto were both born in Indonesia and switched career allegiance to represent Hong Kong, where they rose to seeded status at the 2006 and 2007 World Championships. Before this week their partnership was last in action at the 2008 Indonesia Superseries. Their last title was at the 2006 Philippine Open. Australia has been a lucky country for Wiratama, who now has a men’s doubles title to accompany his 2008 Australian Open mixed doubles title, which he won with Chau Hoi Wah, the World Championships bronze medallist for Hong Kong in mixed doubles in the past fortnight. 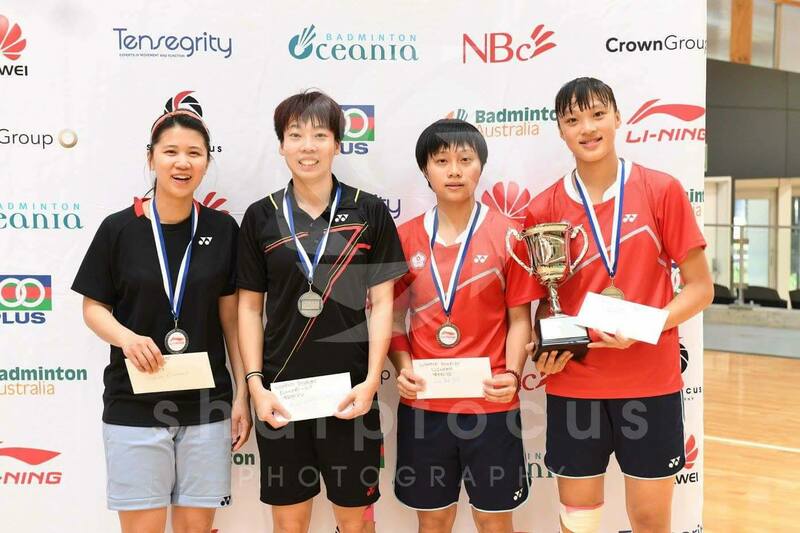 Men’s and women’s singles were all-Taiwan affairs so the north Asian island were assured of at least two titles. Left-handers Lin Chun Yi and Hung En-Tzu respectively won, with the latter accomplishing dual victories by taking women’s doubles too with Lin Jhih Yun. Sylvina Kurniawan, the 2014 mixed runner-up who previously represented Indonesia, had to settle for being bridesmaid once more, this time in women’s doubles while partnering Australia’s top singles player Wendy Chen, who is herself of Taiwanese heritage and lives in Queensland. 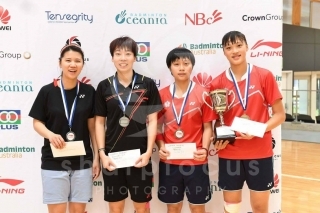 Top seeded and the 2014 champions Setyana Mapasa / Sawan Serasinghe unsurprisingly conceded a walkover in mixed doubles to Ye Hong Wei / Teng Chun Hsun as Mapasa had sought medical attention during her semi-final.